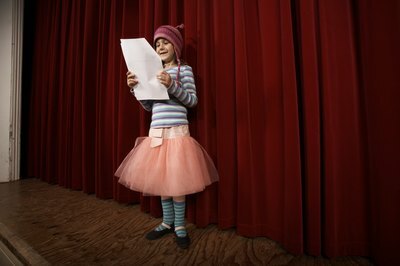 While some kids may have obvious talents (playing the piano or singing), other kids may think there’s nothing special they can do, but almost any child can participate in a talent show. 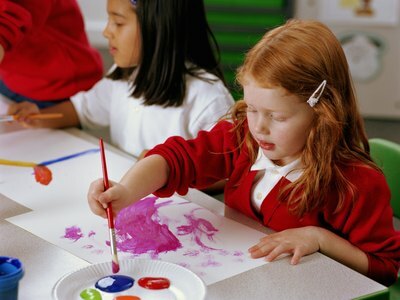 Give them some ideas, encourage them to think creatively, and let them have at it. Remember to teach kids to be a good audience by clapping, cheering or laughing at appropriate places. Traditional favorites include telling jokes, singing, playing an instrument or dancing. Kids don’t have to be the next American Idol to showcase this kind of talent. Most kids can sing in a group. 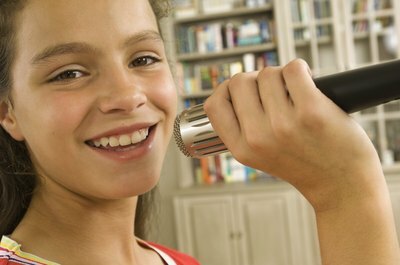 Camp songs, traditional folk songs or Top 40 radio hits are perfect for talent shows. 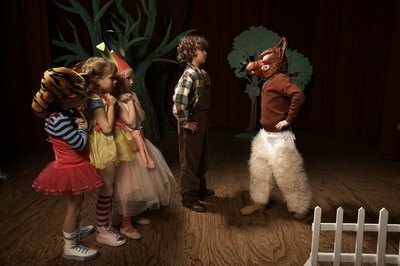 Kids can act out scenes from a movie, TV show or book. Camp skits are another possibility, or kids can make up their own stories. Don’t forget props, costumes and makeup. 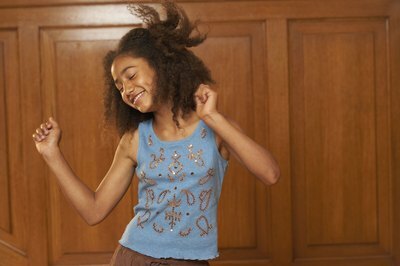 For kids who may not have singing talent but love to ham it up, lip syncing is an option. Add costumes and trademark movements to imitate the real singer. 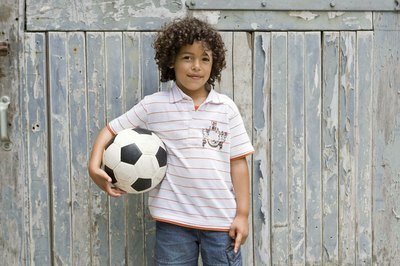 Athletic kids can showcase their skills in creative ways. Whether it's showing off their soccer ball tricks or gymnastics abilities, these are appropriate talents to showcase. A group of kids could do a synchronized basketball routine set to music, involving dribbling, passing, shots and tricks. Speed jump roping set to music works too. Kids can learn magic tricks in just minutes. 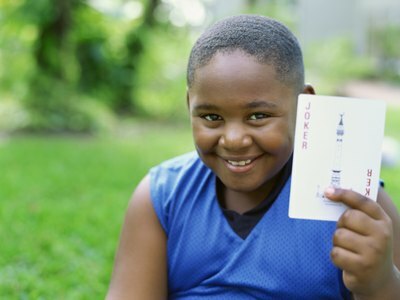 Card tricks and coin tricks are easy to learn and can involve a helper from the audience for even more fun. Let kids show off their tumbling skills by putting together a gymnastics routine. Cartwheels, flips and the splits all make an entertaining act, especially with music to go with it. Kids can memorize existing poems or write poems of their own. Throw on a black beret and adopt a beatnik attitude for even more fun. If equipment to project the game onto a big screen is available, kids can “perform” a Dance Dance Revolution song on the Wii. 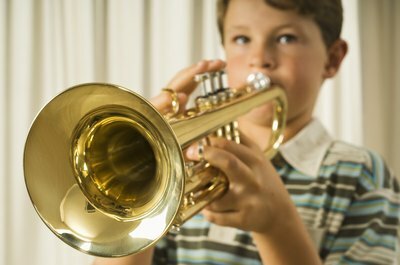 Kids who can successfully complete songs set at harder levels are sure to impress. 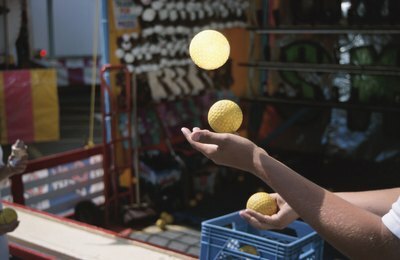 Even a modest ability to juggle is worth showing off. If given enough time, kids may be able to learn juggling prior to a talent show. The deadline of a performance can be a great motivator. Set up an area off stage for displaying talents that can’t be performed. Paintings, drawings, sculptures, photographs, dioramas, quilts or that homemade prom dress are all items to display.